I had the pleasure to participate in the Santa Clause event run by Chris from Wargamer's Odds and Ends - had I known quite a few other participants were either professional painters or professional-level, I might have thought twice, but it is a fun idea to be given a random participating blog and paint a figure for the owner. Santa selected Ben of Little Tin Men to be my painting target - as most of you are probably aware, most of his stuff is truly inspirational so bar was more than high enough. I paint mostly 15mm and he of course games in larger scales, so selecting the right miniature was somewhat challenging. 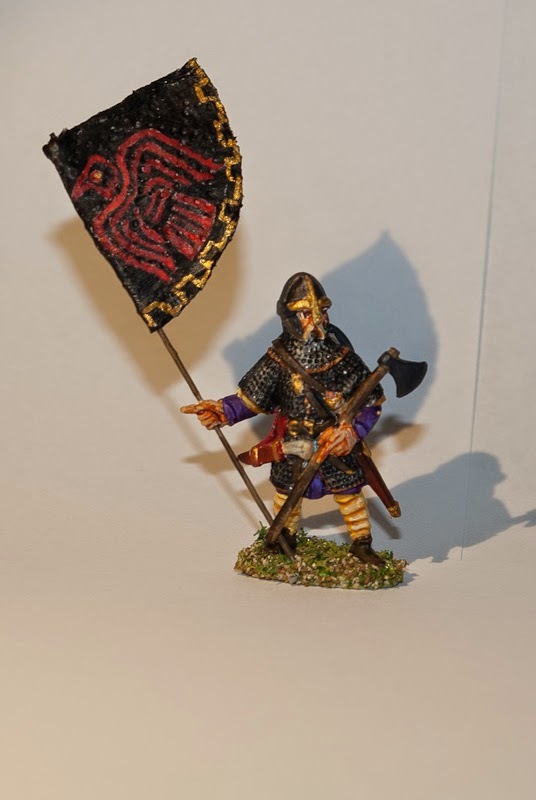 In the end I decided to try my hand at vikings - found a suitably imposing Gripping Beast miniature to be a modified standard bearer and painted him to stand with the dread raven standard. (The story usually goes so that the banner brings victory to the army, but certain death to the champion who dares to unfurl it.) I drilled a hole into the right hand so that a banner pole would fit, but otherwise it is not modified. Also, I noticed only after painting that figure is truly imposing, standing head and shoulders taller than Perry foot knights. I am reasonably happy with the results, as I had to relearn many techniques for painting larger miniatures. On the return, Ken of Blue Moose Arts was to be my Santa. I got a box few days before Christmas and after receiving it, my gaming buddies have been badgering me with regular SMSs to hear if I have already opened it. Santa finally visited tonight, so I got to open the box. 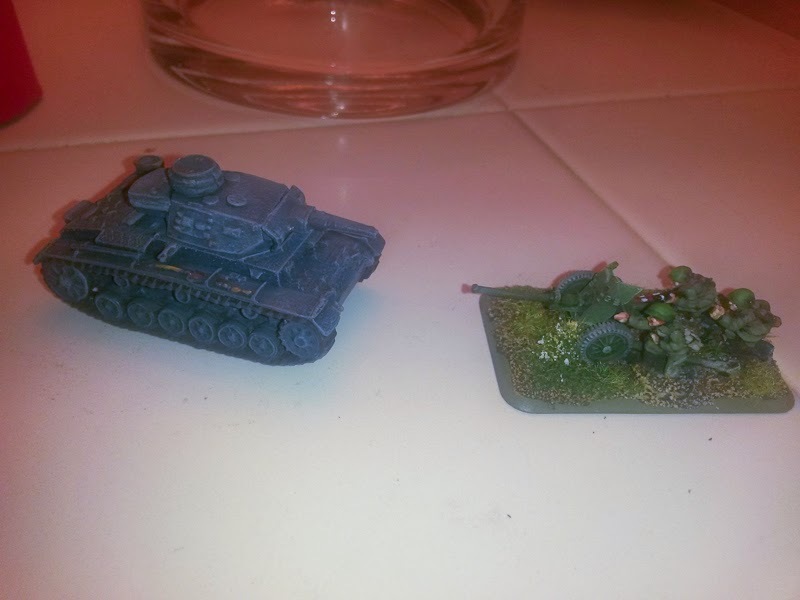 Inside I found gorgeously painted Russian 45mm anti-tank gun (I think, I am bit hazy on details of different atgs) and Panzer III, perfect stuff for early war games! Thank you so much, Ken! And apologies for poor quality picture, I have nothing but camera on phone and very dim lights available - particularly the infantry looks lovely. The minis look great. Thanks for being part of the Santa Clause this year. Thanks! And thank you for running this.